Like its predecessor, the Pure Aero Plus' extended 27.5” length adds some explosive momentum to ground shots, serves and overheads. As with the other members of the Pure Aero family, the stringbed has been retooled for bigger spin and power. 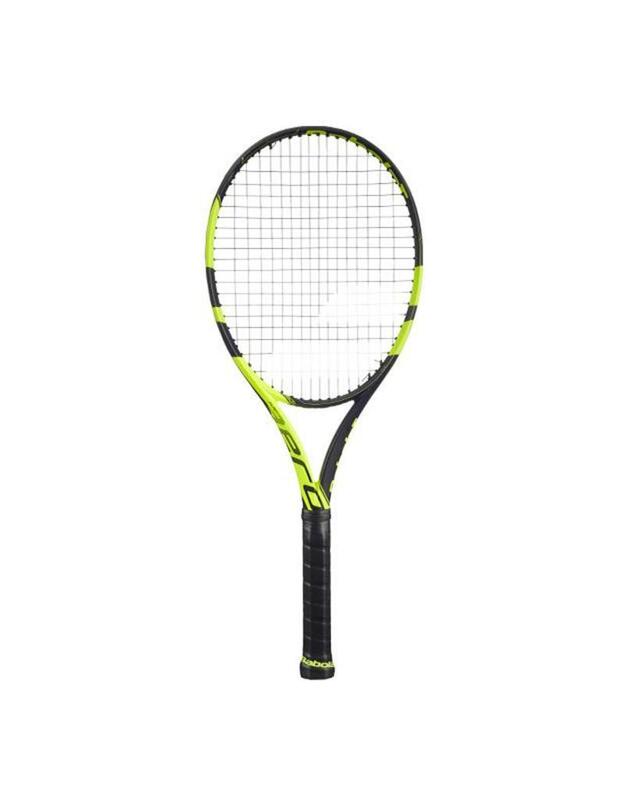 Babolat achieves this with FSI Spin Technology which features wider cross spacing (for added bite) and larger grommet holes (for increased string movement and extra snapback). From the baseline the Pure Aero Plus will give big hitters the ingredients to hit with an impressive level of power and accuracy.